If I had a pound for every time someone refused my help on their CV even though they were struggling to get a new job… Well let’s just say I’d probably be sitting on a beach in Mauritius now instead of on my sofa in Warwick. It’s something I’ve found quite frustrating over the last few years, especially as I’ve been honing my skills at writing and designing CVs, and I’m quite confident that they come out looking professional and effective. In fact, I’ve got hard facts to back this up because the vast majority of my clients get a new job within three months of receiving their new CV from me. Yet for some reason, people tend to think that their CV is always OK. They assume that because they got good grades at school or University, they should be fine to just scribble something down themselves. Well I’ve seen a LOT of CVs over the past five years, and there’s always something I can do to improve the wording or the layout. When a potential client contacts me, I send them a brief assessment with recommendations of what I would do to improve it. Clients usually agree (because I can back up everything I say) and they usually end up with a great document that shows them in the best light. As I always say, you really can’t underestimate the importance of a good CV. It’s the first impression that an employer has of you, and it needs to capture their attention so they sit up and take notice of you. Your CV is a marketing tool with the specific purpose of winning you an interview. It’s your own personal advert; nothing more, nothing less. With the economy as it is, employers often have hundreds of job applications to consider, so you only have a few seconds to make sure that first impression is a good one. You have to show your prospective employer that you are unequivocally right for the job. Not only that, but you have to outline your experiences and your accomplishments – otherwise, how will he or she know that you are truly right for the job? A great CV doesn’t just tell them what you have done but makes the same assertion that all good ads do: If you buy this product, you will get these specific, direct benefits. It presents you in the best light. It convinces the employer that you have what it takes to be successful in this new position or career. 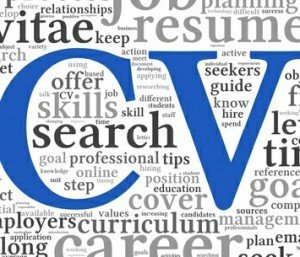 A good CV is so pleasing to the eye that the reader is enticed to pick it up and read it. It “whets the appetite,” stimulates interest in meeting you and learning more about you. It inspires the prospective employer to pick up the phone and ask you to come in for an interview. The cost of improving your CV is so minimal compared to the new salary you’ll be on with your fantastic new job, that I really see no reason NOT to do it. Remember: A good CV won’t get you a job – but if it’s not good, it will probably cost you a job. So yes, your CV is probably fine. But wouldn’t you like it to be even better? For information about my CV writing/improvement services, please talk to me or see my page on CV help.